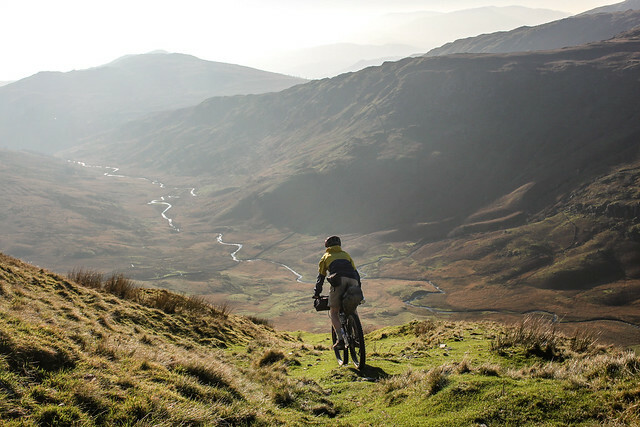 Scotland inspired me to try and explore some more of the UK off-road, so I collected a list of mountain bike routes that had enough mileage for a long-weekend this summer. 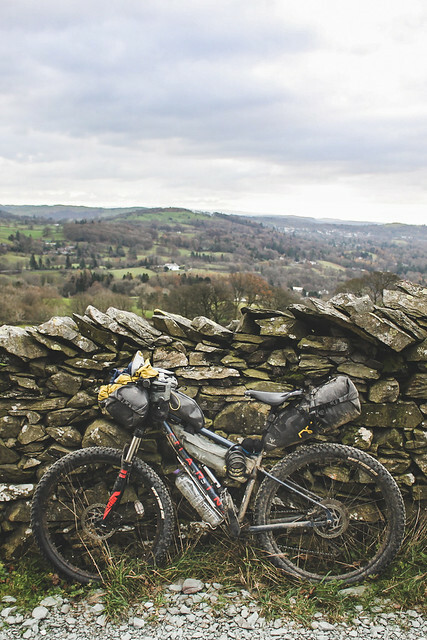 Although I did a couple of weekenders along both the South Downs Way and the North Downs Way, I never found the time to squeeze in a longer ride up North. The South Downs was a particularly beautiful ride, but I wanted one last excursion into some proper mountains. Then November arrived and it seemed I’m missed the season for cycling completely. The trees in London were changing and the streets littered in orange leaves. I reckoned I had one last chance for a mini-adventure, so booked a day off work in the middle of the month and headed up to Cumbria. 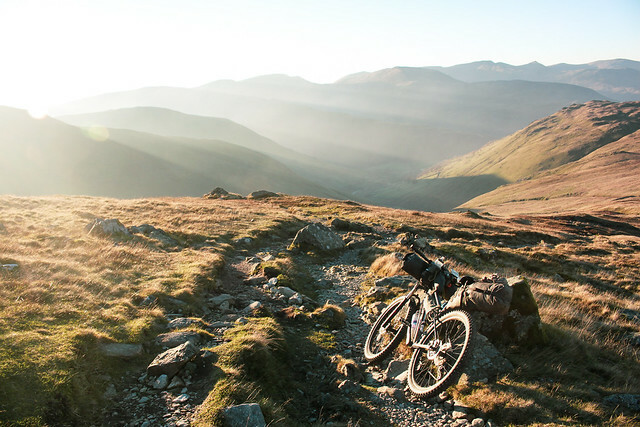 There are few good sources for inspiration on long off-road routes in the UK (shoot me a message if you’d like links to some) – but through the Bearbones Bikepacking events I found the Lakeland 200 route, and I imagined it would be a similar challenge as the Highland Trail 550. 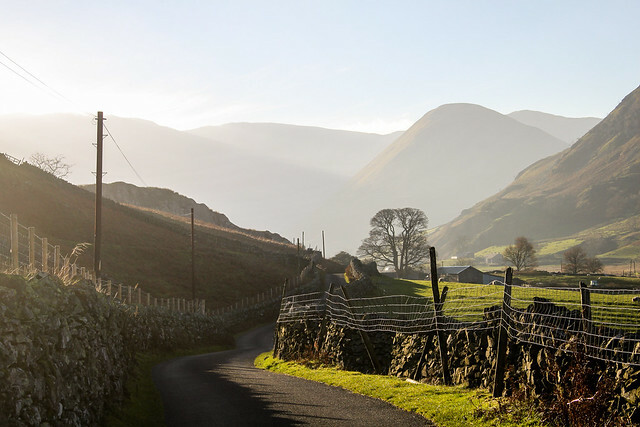 I picked the Lake District as I’ve not spent any real time up there since I was a kid. 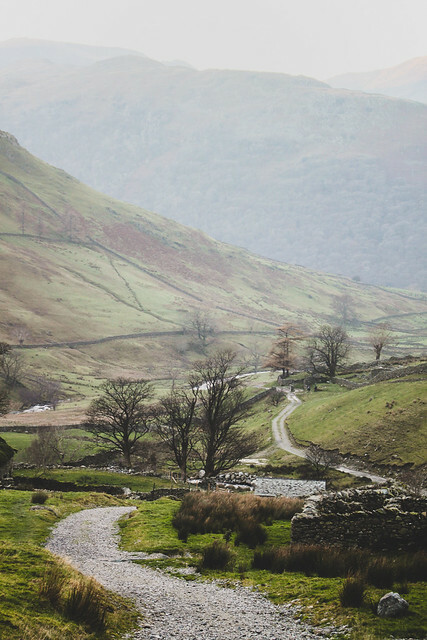 I did cycle through the region last winter on my way home, conquering Kirkstone Pass on the way and have been keen to spend more time riding up there since. I took the train straight up North after work and started my ride in Staveley. It was 10.30pm and all was dark when I cycled out of the village. The stars were out and the road was only lit by my headtorch. I rode a few miles until the valley narrowed and I passed a forest by the river. It was hard to get my bearings in the dark, but the spot looked good enough and I rolled out my bivvy bag for the night. I couldn’t believe just how lucky I got with the weather. This was, after all, November in the very North of England. There was a barely a drop of rain and all weekend I had nothing but clear blue skies. 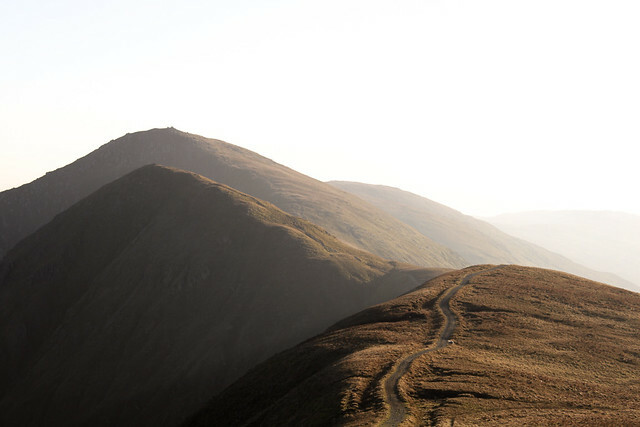 The first morning began with a short but punishing climb over Garburn Pass. It’s a boulder strewn track that would be technical enough without luggage and required a fair bit of pushing to reach the top. 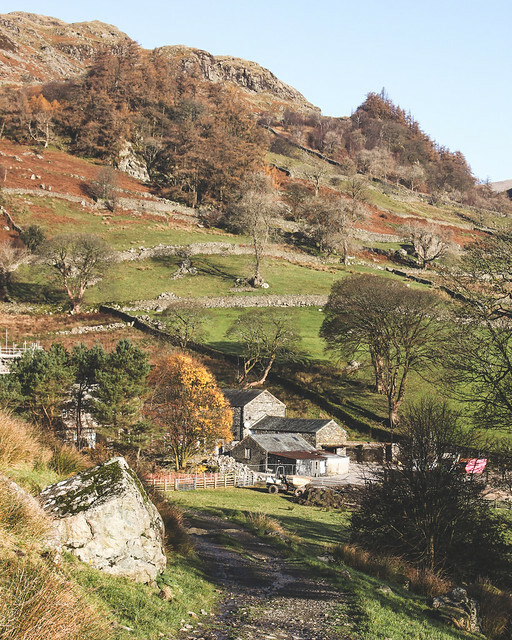 The bridleway brings you down to Troutbeck (at the southern side of Kirkstone Pass) before heading north to Thornthwaite Crag. This was a nasty way to start the day. It’s a long and arduous hike up to 800m asl, but once you reach the top there is a stunning section along the top of the mountain. The days are short this time of year which is frustrating as already after lunch the sun is starting to lower in the sky. However, this also means you get that golden light for a good couple of hours where everything glows. It’s a gorgeous setting to ride. I camped at the top of the next pass, after an ascent along Hause Gate. I had achieved nowhere near as much mileage as I had planned, but it was already getting dark and it was a prime spot for camping. I’m not entirely sure what the deal is with wild camping up here. 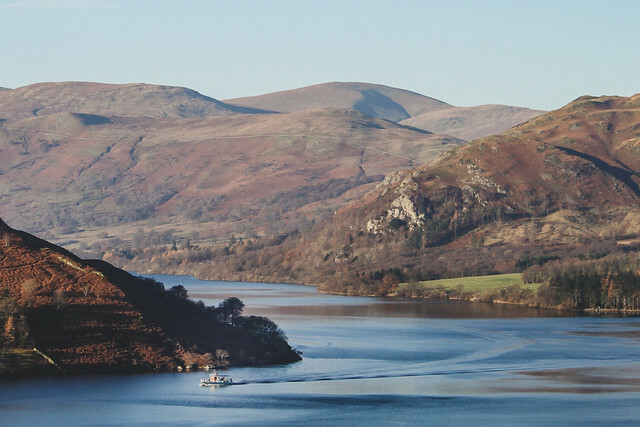 It’s illegal pretty much everywhere in England, but it’s tolerated in the Lake District if you are respectful. Besides, I don’t think anyone cares when you are up on the mountains way above the highest fell wall. In the morning everything was covered in a layer of frost. It had been a chilly night’s sleep but a stunning place to wake up. 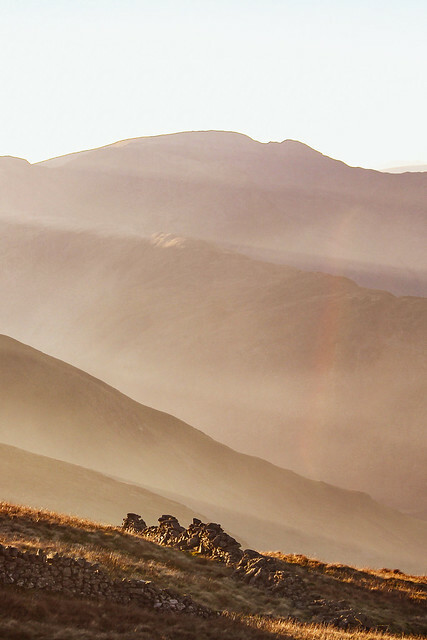 As dawn broke, deer trotted over the hills. There was not a soul in sight. 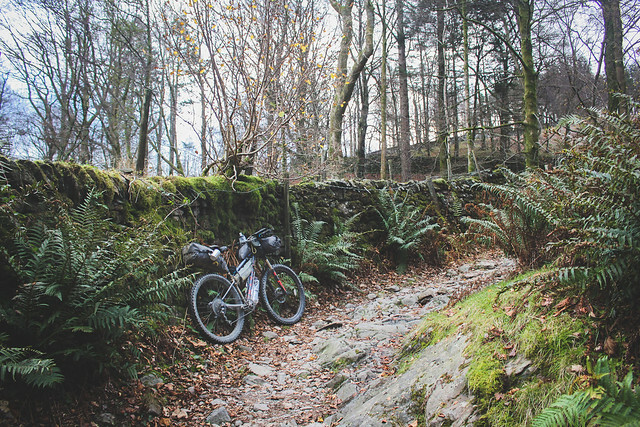 There was another great gravel track towards Keswick, called the Old Coach Road. It was flat and rocky, but nothing my Marin couldn’t handle. Already the sun was starting its descent and I was barely halfway along my route. The days were too short to cover much ground and the route was more taxing than I had anticipated. 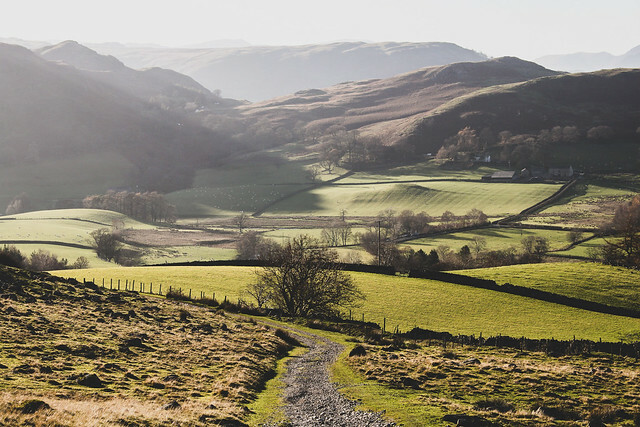 I strolled around Keswick – already in full Christmas mode – and decided to change my route and start heading straight south towards Kendal. 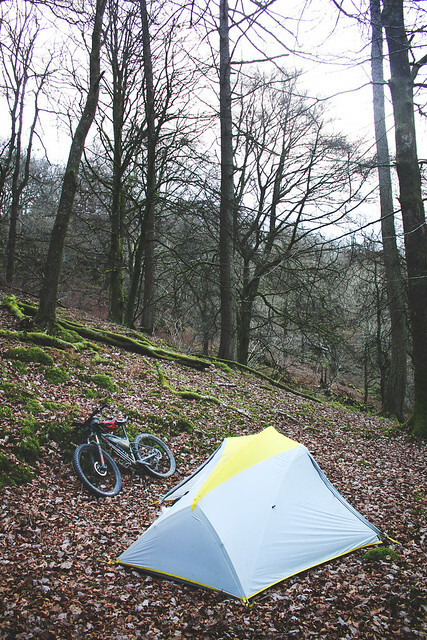 I followed a dirt road parallel to the A591 and suddenly found myself rather stuck for a place to camp. I was in lowlands and everything was private farm land. Villages were scattered in between the fields and there was nowhere to camp. 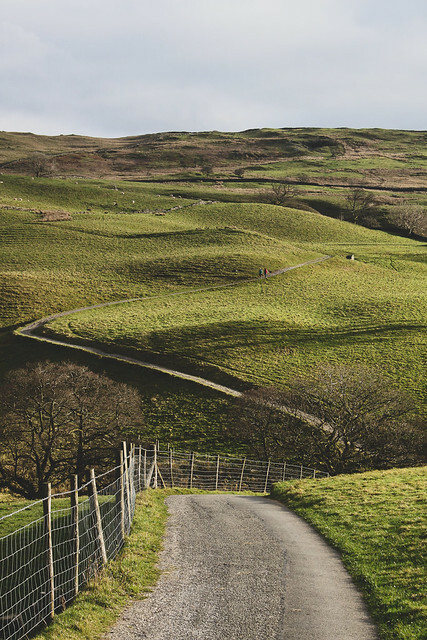 I kept riding as dark fell and headed towards Redbank Wood on the map, where I hoped to find somewhere secluded. 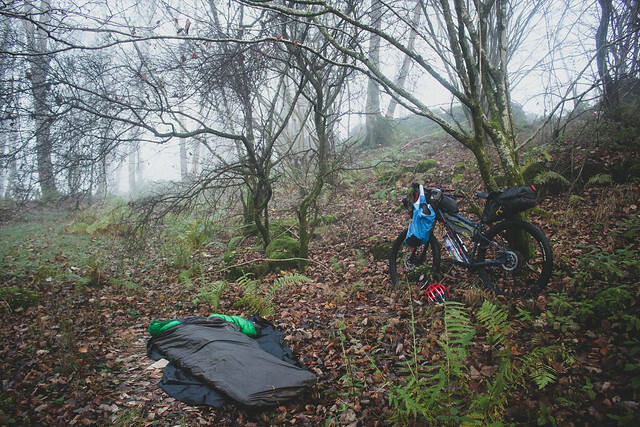 Eventually I found a spot up in the forest, on the hillside but flat enough to pitch my tent. I didn’t want to bivvy – it was 4.30pm and already dark. I wanted to clip my battery light bulb into the roof of my tent and open my Kindle. Camping like this brought back many memories from last winter, in both Iceland and Scotland. It’s not a glamorous routine. 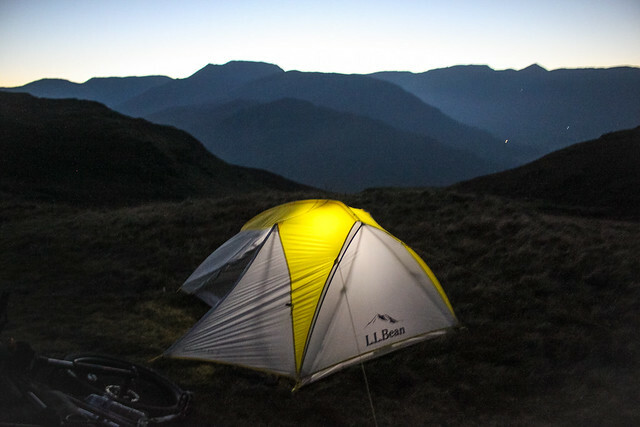 I’d ride until it was almost too dark to see and pitch my tent while there was just enough light. I’d read my book until dinner time and then cook pasta in the vestibule of my tent. I’d then listen to a podcast and try to stay awake long enough that I wouldn’t wake at a silly hour of the morning. My alarm would go off an hour before dawn and I’d carefully cook porridge in the tent. I’d then read my book over a cup of coffee until there was enough light to pack up the tent and hit the road again. 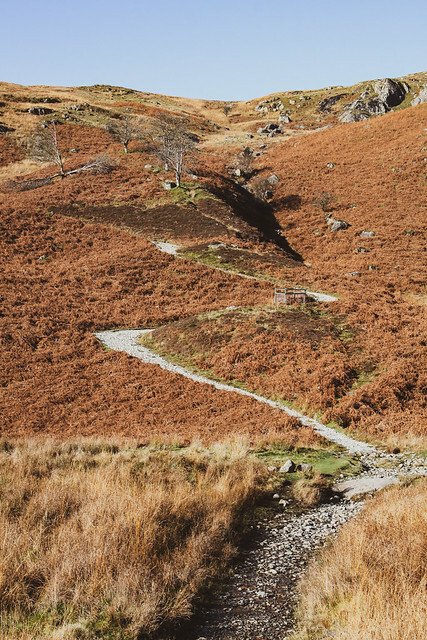 I rejoined the Lakeland 200 route after my shortcut. 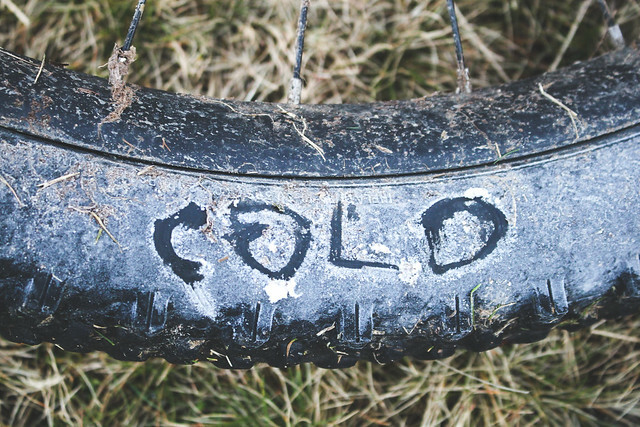 The weather wasn’t so pleasant anymore – it was cold and windy. The next section was easy riding and I cycled hard so that I could get to the pub as early as possible. In the end, I was a little too keen and ended up at Staveley just after lunch, with a solid 4 hours to kill before my train. I probably shouldn’t have taken such a big shortcut, but then again – those few pints in the pub did taste pretty great (and cost considerably less than they would have in London!). 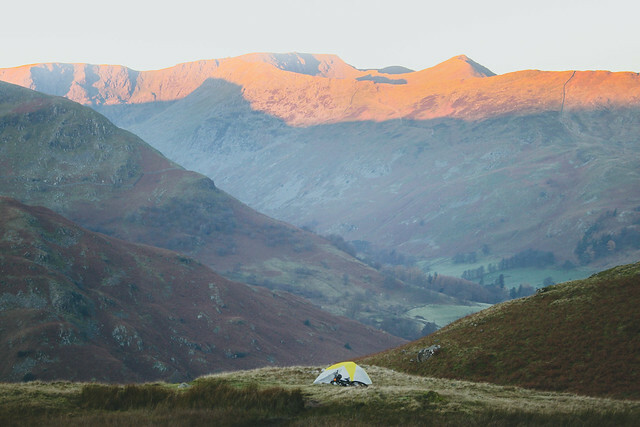 It’s a little harder to find the motivation to wild camp in winter when you are paying rent for a room in the city. That will most certainly be my last excursion until spring next year. 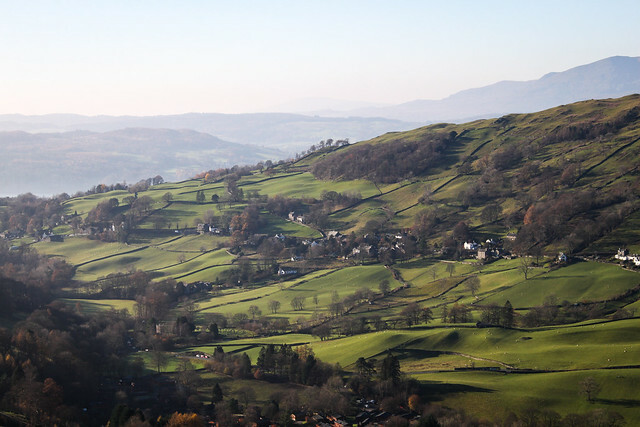 I’d like to come back to the Lake District and cover some more distance – perhaps I’ll make it back in 2019.